Here you will find information about our most famous brands. You will carry some stories and tales with you for your whole life. They become beloved friends and generates self-esteem and joy. They challenge and inspires to be expressed in text and images. Positive experiences that you would want to share with your own children. 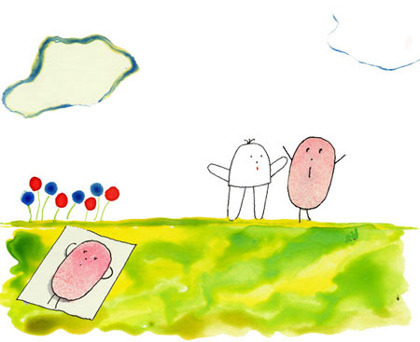 Little Ghost Laban, Little Anna, The Thumb, Dusty and their friends have become inseparable friends with generations of children. And are loved just as much by parents and grandparents as they are by children and grandchildren. Laban is a nice little ghost who wants to be exactly the same as his large scary dad. But Laban is scared of ghosts and he doesn’t like the darkness at the Royal Palace Good Morning Sun. He is also a very kind and helpful ghost, not at all like his large dad. 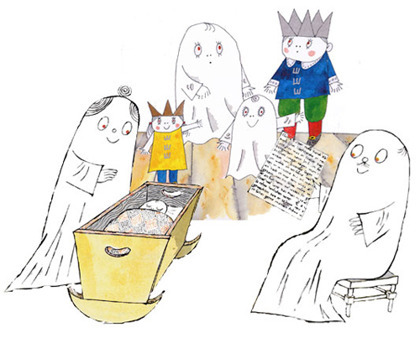 Little Ghost Laban was published in 1965 and Lasse Sandberg received the Elsa Beskow plaque for the most beautiful children’s picture book of the year. Eventually a little sister for Laban arrives, named Labolina by children in Gothenburg. Labolina is tough. She has the strongest voice in the world and she is able to imitate each and every sound. There are now many books available about Laban and Labolina. But who is Anna? Well, Anna is a little girl who likes to do things by herself. She wants to build and she wants to decide. She has a good friend, the worlds Tallest Uncle. He is the kind, long legged adult, who helps Anna when needed. And Anna helps out when the Tall Uncle has lost his hat or his magic peephole. The Thumb has a mum. And his mum sews him a Dolly. Dolly becomes The Thumb’s best friend. Dolly is a normal doll whenever Thumb’s mum or anyone else is around. When Dolly and The Thumb are alone, then Dolly can speak and they can play together. 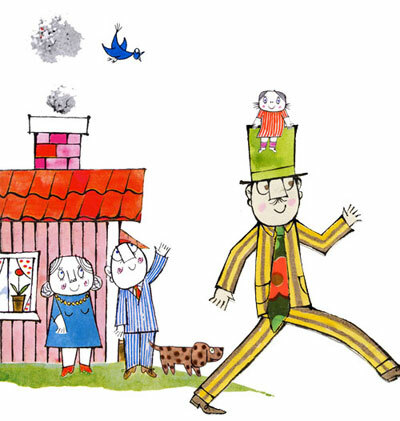 Dusty grows and becomes more and more friendly with his grandfather and grandmother in their country cottage. 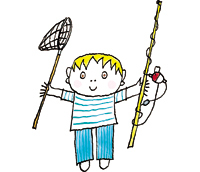 He fishes, he feeds a tame elk with sandwiches, he looks for grandma’s missing voice and he continually comes up with new adventurous things. One summer Dusty has an accident. He ends up in the hospital for 42 days and 42 nights before he can go home. Grandfather, Grandmother and Dusty himself.